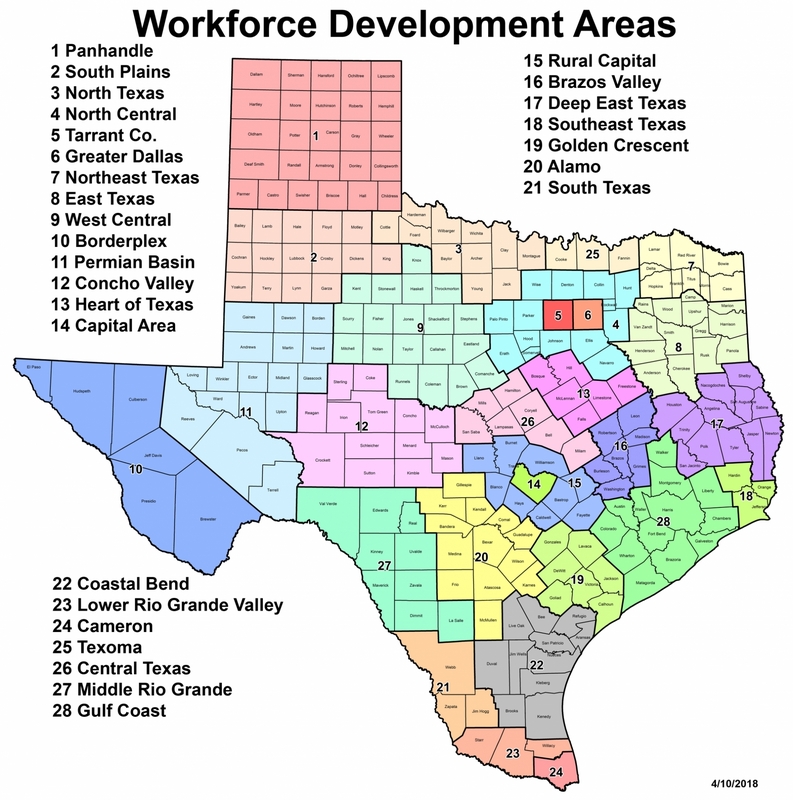 The Texas Legislature created the Texas Workforce Commission (TWC) in 1995 and consolidated the state's employment related education and job training programs. They also gave the TWC responsibility for administering the Unemployment Insurance and labor law programs. Three years later in 1998, the 105th Congress passed the Workforce Investment Act of 1998 to consolidate, coordinate and improve employment, training, literacy and vocational rehabilitation programs in the United States. Together, these state and federal legislative actions changed the way local employment and training services were delivered in Texas. One of the biggest changes was the creation and privatization of 28 local workforce development boards that are located through the State of Texas. The local workforce development boards are appointed by the County Judges of the service area and the Mayor of the largest city in the service area. Workforce development boards are responsible for planning, overseeing, setting policy and monitoring the service delivery system. Local workforce development boards emphasize employer needs when they design their service delivery system. Thus, the Chairperson of each local board and the majority of its members must come from the private sector. Workforce development boards in Texas have led the country in the implementation of the new legislation by obtaining waivers to provide greater flexibility and through early implementation of the Workforce Investment Act. Workforce Solutions Rural Capital Area has certainly been a major part of this success and is consistently considered one of the highest performing workforce development boards in the state.